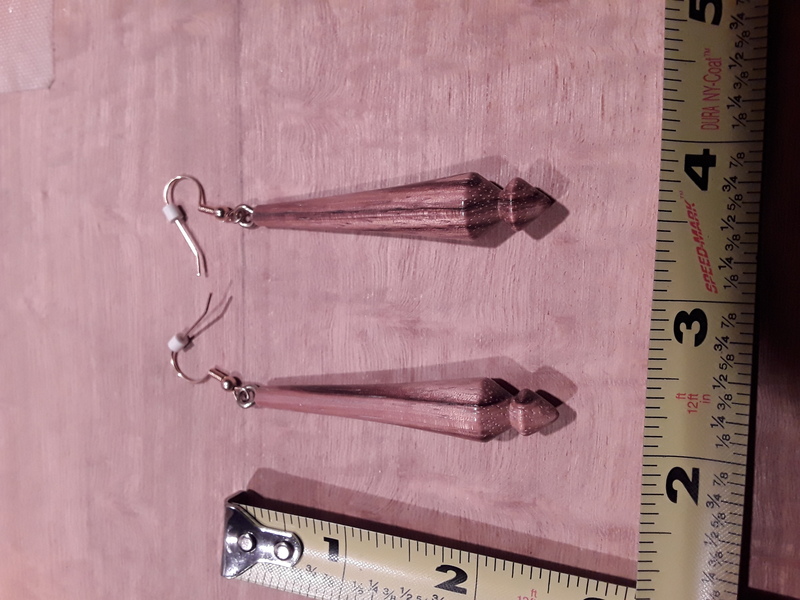 This is a pair of Zebrawood lathe turned earrings about 2.5" long and 3/8" at it's widest point. These are very durable and look great with short hair, or hair tied back. 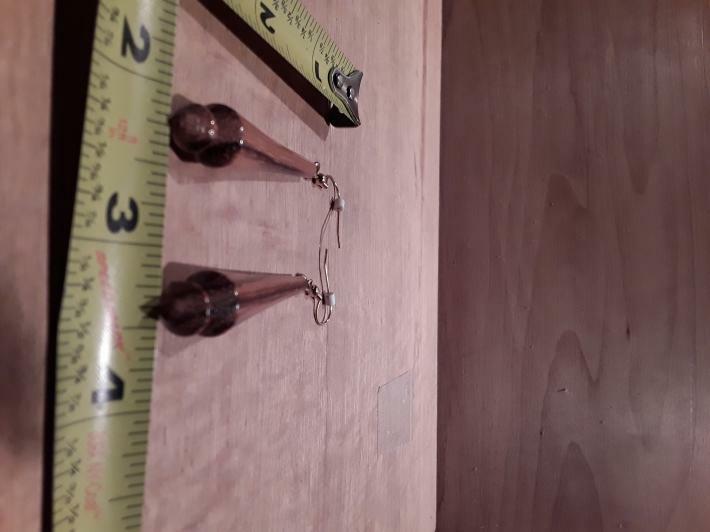 The ear wires are of stainless steel with no nickel in them for those sensitive ears. These are finished to 600 grit sandpaper and dipped in a Watch Danish oil, and buffed with bees wax. When handling these with your hands -- the oils from your skin will increase the durability of the finish.